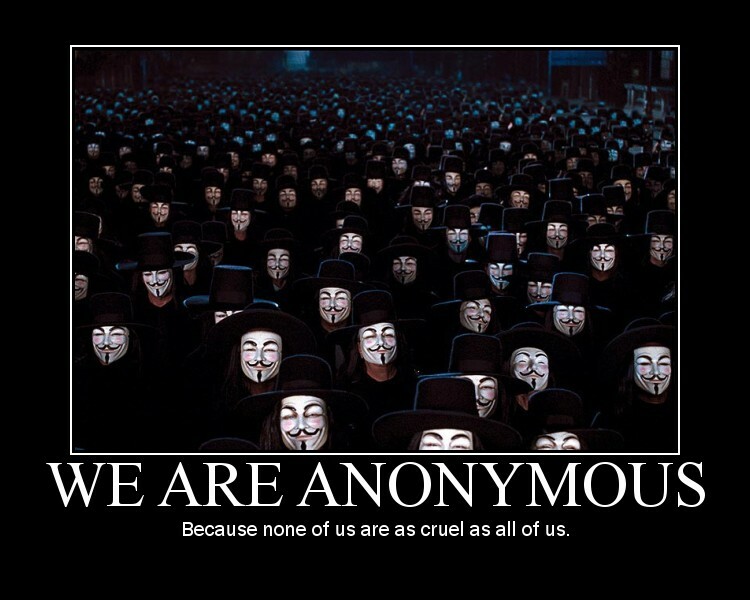 We are the Anonymous Netizens. We have seen your moves on the Internet. You have deprived your netizens of the freedom of speech. You have come to see technology as your mortal enemy. You have clouded and distorted the truth in collaboration with Party mouthpieces. You have hired commentators to create the “public opinion” you wanted to see. All these are etched into our collective memory. More recently, you forced the installation of Green Dam on the entire population and smothered Google with vicious slander. It is now clear as day: what you want is the complete control and censorship of the Internet. 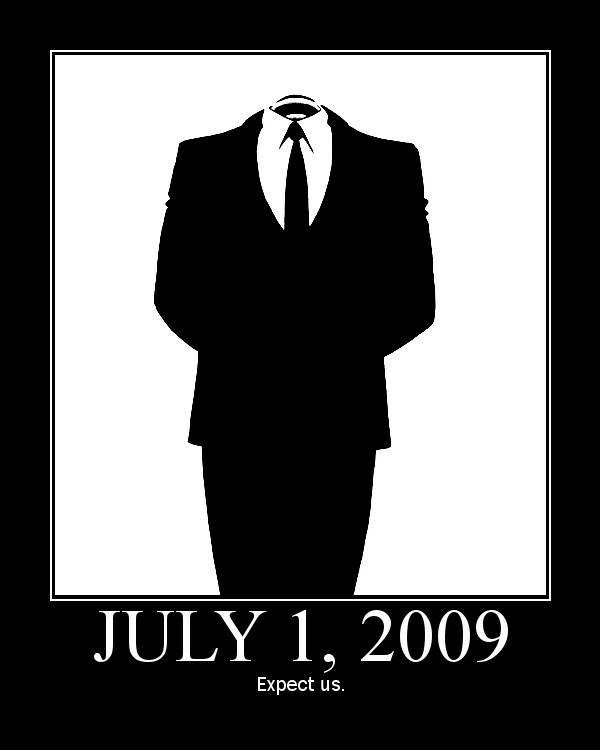 We hereby declare that we, the Anonymous Netizens, are going to launch our attack worldwide on your censorship system starting on July 1st, 2009. For the freedom of the Internet, for the advancement of Internetization, and for our rights, we are going to acquaint your censorship machine with systematic sabotage and show you just how weak the claws of your censorship really are. We are going to mark you as the First Enemy of the Internet. This is not a single battle; it is but the beginning of a war. Play with your artificial public opinion to your heart's content, for you will soon be submerged in the sea of warring netizens. Your archaic means of propaganda, your epithets borrowed straight from the Cultural Revolution era, your utter ignorance of the Internet itself – these are the tolls of your death bell. You cannot evade us, for we are everywhere. Violence of the state cannot save you – for every one of us that falls, another ten rises. We are familiar with your intrigues. You label some of us as the “vicious few” and dismiss the rest of us as unknowing accomplices; that way you can divide and rule. Go ahead and do that. In fact, we encourage you to do that; the more accustomed you are to viewing your netizens this way, the deeper your self-deception. You are trying in vain to halt the wheels of history. Even with your technocratic reinforcements, you will not understand the Internet in the foreseeable future. We congratulate you on your adherence to your Cultural-Revolution style conspiracy theories in your dealings with dissent; for we too get nostalgic at times. We toast to your attempts to erect a Great Wall among your netizens, for such epic folly adds spice to any historical narrative. Still, there's something we feel obliged to tell you. We are the Anonymous Netizens. We are the sum of the world's entire online population. We are coordinated. We are dominant. We are innumerable. For every one of us that falls, another ten joins. We are omnipresent. We are omnipotent. We are unstoppable. We have no weaknesses. We utilize every weakness. We are the humanity under every mask. We are the mirrors of conscience. We are created equal. We are born free. We are an army. We do not forgive. We do not forget. 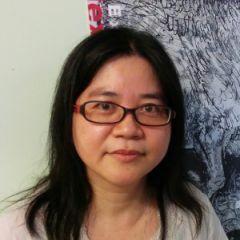 Pingback: Global Voices Online » China: Internet boycott on July 1st? Very good. Just get it over and done with ASAP. I’m a Chinese. maybe this declaration is true that made by someone chinese. few of chinese netizens would agree and support this declaration. trust me, our government has many means to deal with those disobedient netizens as well as those trouble makers. there is no profit challenging our government. that’s why we seldom do that.